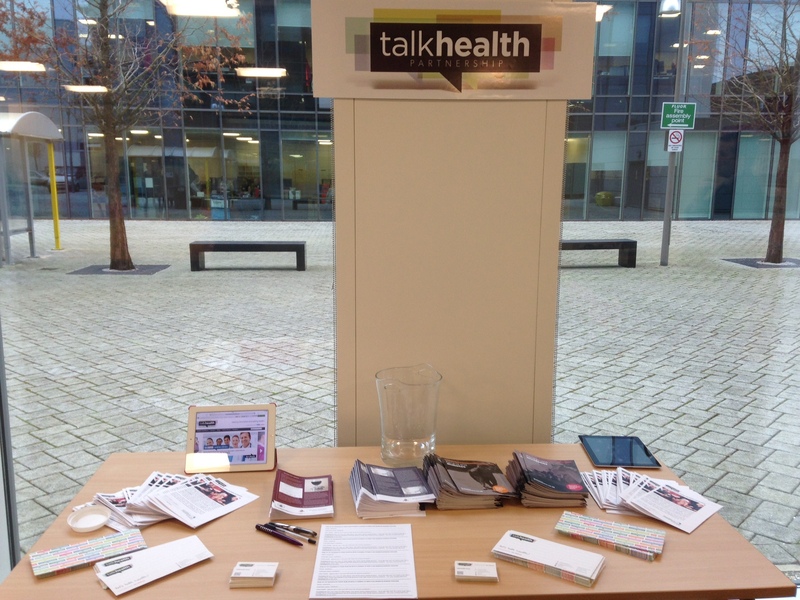 On 1 December 2014, talkhealth were invited by Fluor, to attend their Health & Wellbeing event. 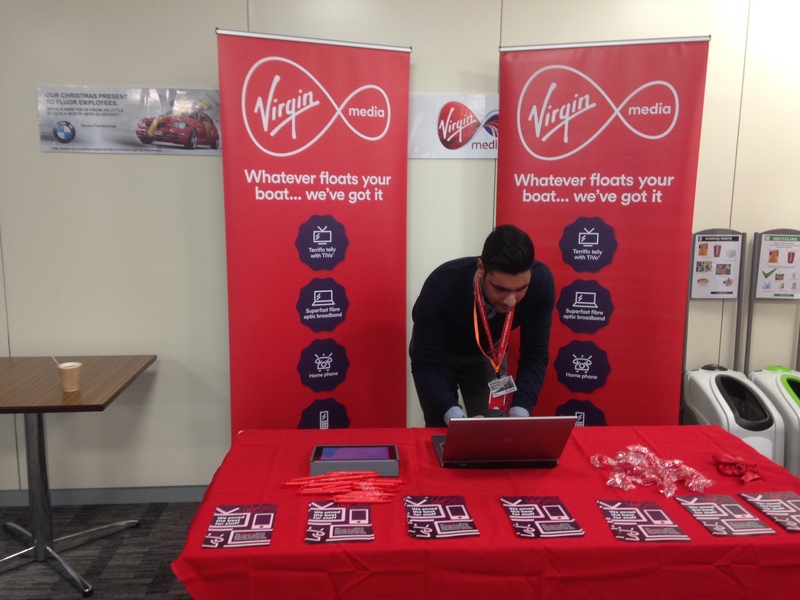 The event was hosted at Fluor’s offices in Farnborough, Hampshire and the invitation to attend was extended to over 1,000 of its employees. Fluor take the health and wellbeing of its employees seriously, and the event was designed to offer employees easy access to health services including gym membership, healthy foods, talkhealth online clinics, ride to work schemes, life assurance and much more. Catriona and Deborah, attended the event on behalf of talkhealth providing information on the online clinics and on the talkhealth website, with a specific focus on the December drink awareness clinic. This clinic was supported by Alcohol Concern. The event was well attended with each attendee leaving armed with good quality health information and a goodie bag. 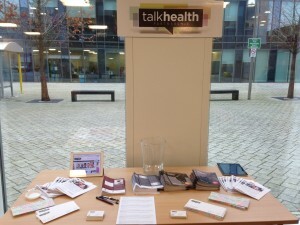 Those who signed up for talkhealth membership (which is free!) 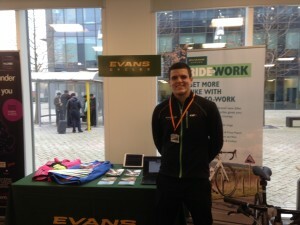 were entered into a prize draw, and one person won an M&S voucher. Josephine, from Fluor’s HR Department, picked the lucky winner. 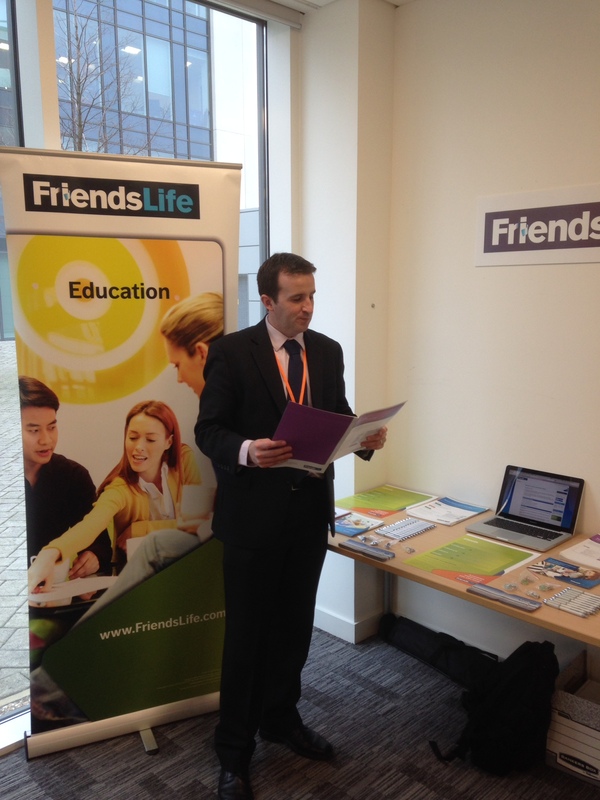 Fluor have an intranet with information on a wide range of employee benefits and schemes. 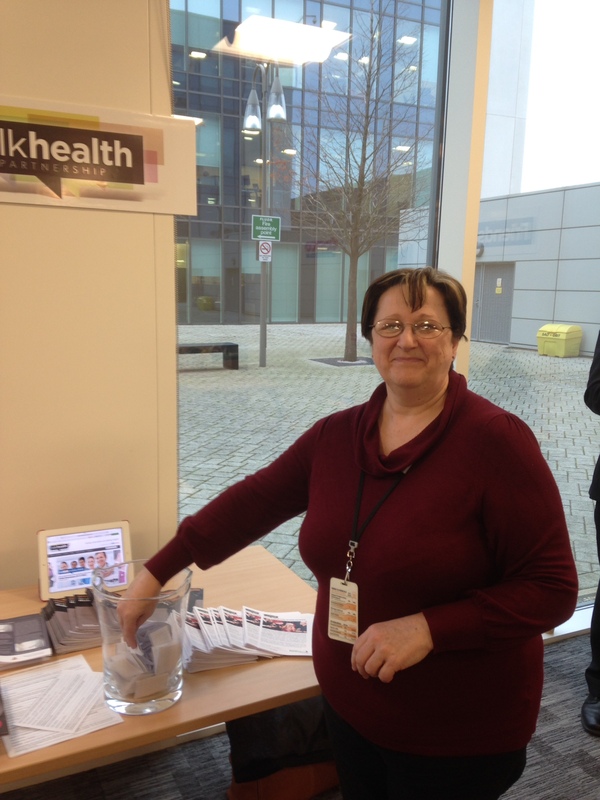 talkhealth now has information about the online clinics, and are looking forward to welcoming new members to the website. If you work for a large corporate company that has an intranet and would like health information to put onto it for the benefit of employees, please contact us as we would be delighted to provide you with information.